perspective. Biblical precepts are foundational to the way that we teach. 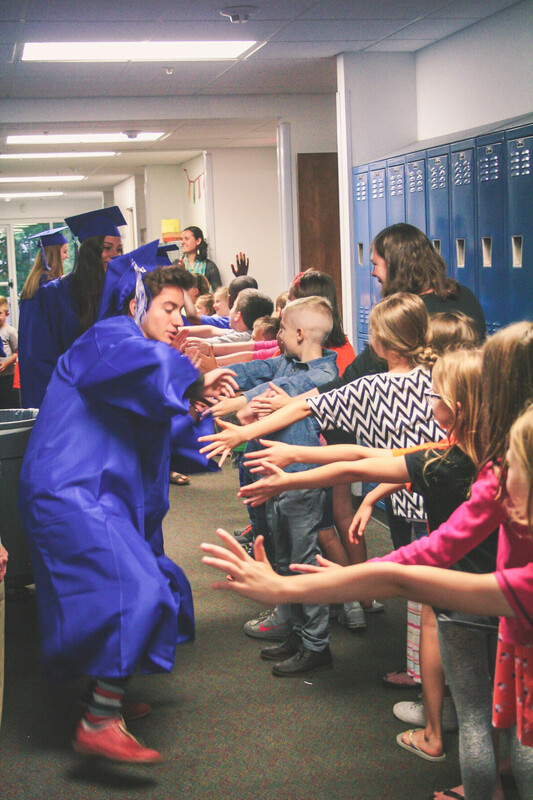 Cedar Valley Christian School, in partnership with family and church, is committed to preparing high school students for life in the adult world. Our ultimate goal is to graduate students who are prepared academically and spiritually to be lights in their communities, to understand the nature of God, His Word, and are committed to the importance of impacting the world for Christ. -Cedar Valley is fully accredited by the Association of Christian Schools International (ACSI). Our school credits will transfer anywhere, and ourstudents will be well prepared for college, at whatever college or university they choose. -We have Postsecondary Enrollment Options (PSEO) and offer a variety of AP level classes so students can be earning college credits while still in high school. -Cedar Valley offers electives in Asian, WWII, sports history, Shakespeare, mythology, art, culinary arts, and auto mechanics. The high school classes have a student council, music classes with fall, Christmas, and spring musical performances. The senior high drama department competes at the large group and individual events level, having attained All-State nominations 5 out of 7 years. There are monthly fine arts performances that give all students an opportunity to perform in many areas, including storytelling, improv, reader’s theater, and an annual talent show. There are physical education classes offered as well as a weightlifting program. -Cedar Valley is part of the Tri-Rivers conference and has teams that compete in basketball, volleyball, baseball, and soccer. Our cheerleading squad has competitions and puts on clinics for preschool-elementary students twice a year. We have a Fellowship of Christian Athletes (FCA) group which meets bi-monthly at the school. grades all come together for a full Thanksgiving meal and spring’s Track and Field Day, promoting mentor relationships and building a tight community across the grades. -In 2017, the students’ ACT scores reflect their superior college readiness, scoring 93% in English Composition compared to a state average of 71%. In College Algebra, CVCS students scored 80% vs. a state average of 45%. 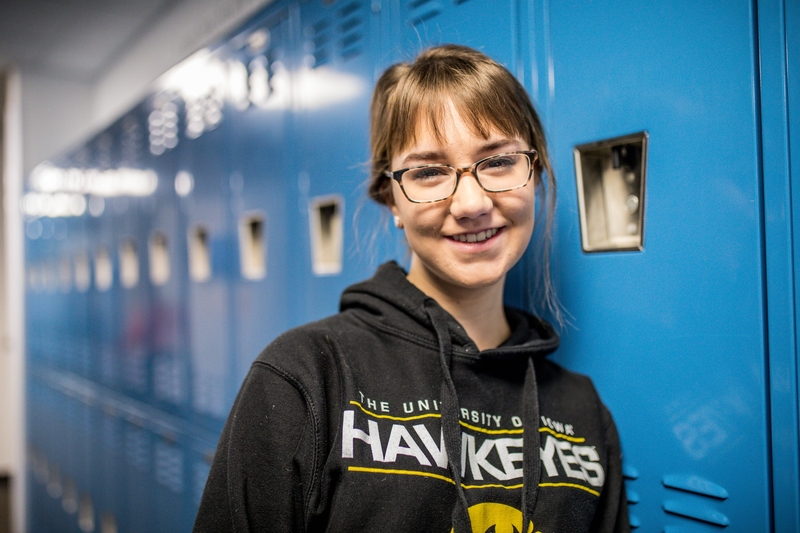 In both College Social Science and College Biology, Cedar Valley students scored 73% with state results of 55% and 45%, respectively. -We offer college planning counseling session to help guide and direct each student’s plan after graduation. -Our diverse student body includes students from over 20 area churches and international students from around the world including Brazil, China, South Korea, South Africa, and Vietnam. -Service projects are an important part of our high school as our goal is to help develop in each student a love for Jesus and a servant-like love of others. Some of these projects including helping in the community when it has experienced flooding, visiting shut ins, going Christmas caroling at care centers, and helping clean up and prep East Iowa Bible Camp.